ITS Nordic will soon offer their customers solutions to store and work in the cloud. By implementing Storegate’s SOSA platform, ITS Nordic broadens their cloud offering. Customers will be able to easily activate a service which allows them to collaborate and sync their business-critical information via ITS Nordic’s servers in Sweden. More and more companies realize the advantage of working and storing information in the cloud. At the same time there is an increase in awareness of how important it is that the information is stored by trusted suppliers and with whom you have a relationship with. Major global players offering this type of service can usually never guarantee that the information stays in Sweden and thus is under Swedish law. To ensure their customers on this, ITS Nordic installs Storegate’s SOSA platform (Storegate Online Storage Application) in their own data center, integrated with the HP concept of cloud computing, HP Helion. – It doesn’t matter if you are 2 or 100 employees at a company, control of business-critical information is still just as important. Therefore, we are investing in a private cloud services with our own brand, so our customers can be assured that all data is stored in Sweden, says Anders Karlebro, Business Developer at ITS Nordic. – The deal with ITS Nordic proofs that the control of information in the cloud becomes more and more important in the corporate market. 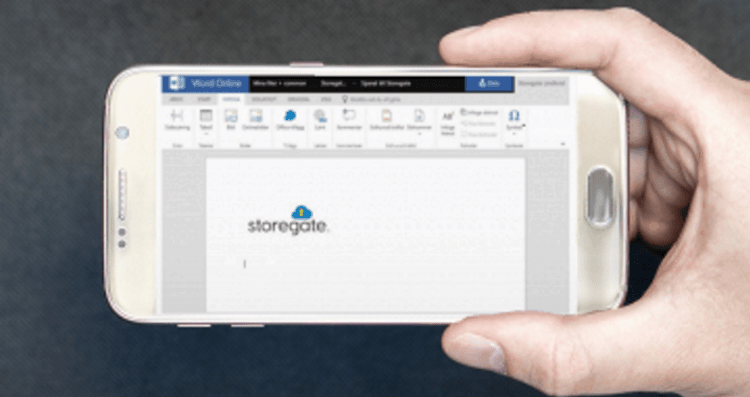 We do this together with HP and their new Helion concept, and we see this deal as a breakthrough into a new and fast growing market segment, says Stefan Ivarsson, Sales Director at Storegate. Inquso AB develops and markets the product Secure Phone is now reselling and strengthen their offerings with Storegate´s business services.